professonal staff always ready to help if necessary. A huge garden site to rest on the evenig and have a talk with friends. A art deco envronnement that is marvellous in furniture. The hotel is inside all accor hotels site, not long from all accomodations (subway, bank, bus, taxi). We arrived midnight yet the staffs were very helpful in every aspect. Especially thank you to Mr Warren and his team in assisting our needs during the stays because we have two elderly travelling along. Housekeeping has done good job keeping the rooms cleaned. Breakfast could be improved, you will feel bored after two three days of breakfast at the same place similar food. The bedroom was very small, the bathroom very old and dirty (the bathtub clogged). Room was well appointed and had everything good to make a stay comfortable. Especially enjoyed the oversized beds. The hotel staff - John, Oliver, Agnes and Warren were all very helpful from the checkin to check out, even though we actually arrived early and left late. Nothing bad to say about this place. I just wished the metro was nearer - perhaps could we unlock the back gate and control it by key card access? The Xi’an metro is great for sightseeing and things could be done to slightly shorten the loop guests have to walk to the 五路口 station nearby. Pleasant, old-style hotel with excellent staff service. 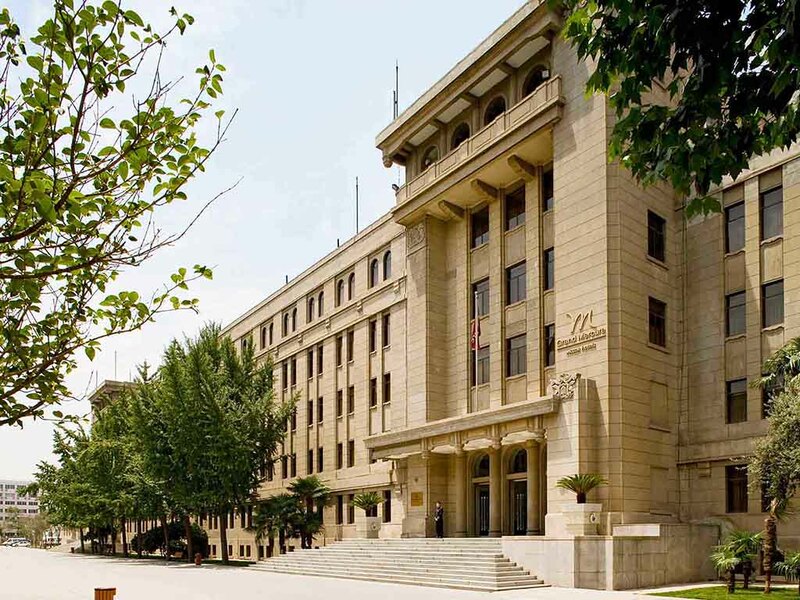 The hotel is ideally situated within the Xi'an city wall. Quiet hotel, old-style. Great buffet and ditto service. We had forgotten some items in the room when checking out; staff made some efforts to sent these to us. All in all a very recommendable hotel! Beautifully decorated hotel with the staff being super friendly and accommodating! The hotel sits in a privately gated area with three other hotels. Shopping centers are withing walking distance. The breakfast buffets includes full American, European, and Asian food. You will not go hungry. The staff is very professional and friendly. We were personally greeted by Laura who made sure our room was to our liking. Will definitely stay here again! Arrived after midnight with some online payment issues but was allowed to settle the in the morning. Kudos to night staff on 18th january 2019. Overall good experience and the house keeping staff was accommodating and effective. Very warm welcome and professional service from your team. Sincerely appreciate your team warm arrange. We had a superb experience with Grand Mercure Xi’an and found the staff extremely welcoming and helpful. We would like to extend our gratitude especially to Laura and her 2 colleagues who made our stay a comfortable and stress-free one. Would definitely recommend this hotel to anyone. We enjoyed the very well appointed and elegantly furnished room. We also enjoyed the buffet breakfast which had great variety and excellent coffee! We got complimentary upgrade from our stay at Mercure Hotel to Grand Mercure Hotel and we were very pleased for the hospitality services by the hotel staffs. They were all very friendly and helpful. A very pleasant stay! We will come back next time. Customer service was excellent, they spoke good English and were very helpful arranging taxis. Room was very dated and in need of a revamp - throughout the hotel they even have a problem with TV signal. The room was warm but was but very comfortable because it had way too much furniture and fitting for its size. Afte a 25 day tour of China this was probably the most disappointing hotel, it has the potential to be an excellent place to stay. Nice rooms and staying away from traffic noise. Bedding is comfortable. Breakfast is OK needs upgraded. Morning coffee is not up to standard. Internet quality is average and should be at higher speed. I did enjoy my stay, however I didn't like that the price of the hotel room was raised when I checked-in over what I booked it for. it's to bad we could only stay 1 night. alittle better than the one in Beijing .clean, quiet, good price. loved it. location was close to the city wall. breakfest buffet catered to a variety of nationalities. god food. Excellent service, large room, nice building and good location. great. only suggestion is the lighting couldm be brighter and the floor cover could be improved. Book a room with a king size bed. Room was good size. Stay was very pleasant. However hotel’s computer/cashier was a bit disappointing. Both my email confirmation of the booking and the hotel’s printout all say payment due is “0”. But cashier say i need to pay what their email say I’ve already paid. Rushing for time to the airport I payed them for the 4 nights stay. Will take up the matter with Accor Hotels when I return home.